Gallery over at MLive for your puzzle-solving pleasure. WARNING: If you want to play along, scroll through the link VERY carefully. Spoilers immediately below each photo. 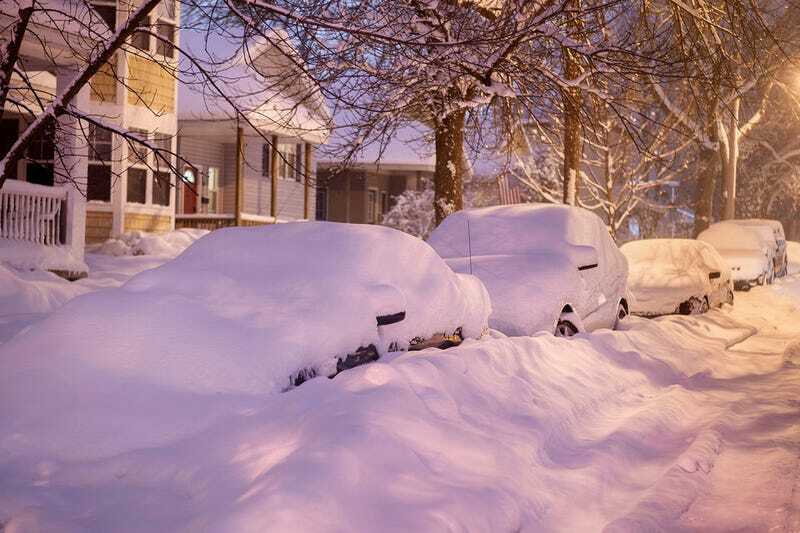 These cars were buried under snow and immobilized by the crusty snow from the plows.